Posted on July 6, 2018 by Jonathan R. Grant, M.D., F.A.C.S. According to the American Academy of Dermatology (AAD), just a few minutes outdoors can cause sun damage. 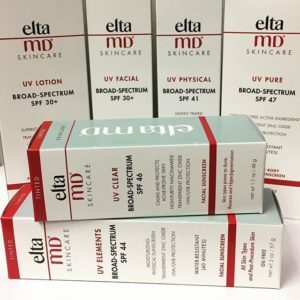 What’s more, research shows that more than 90 percent of the visible markers of aging are related to unprotected sun exposure. For these reasons, the AAD advises you to practice good sun care habits whenever you spend time outdoors. With summer here, Mt. 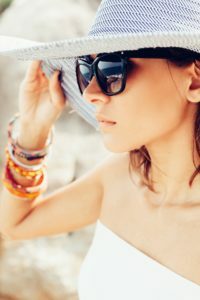 Vernon facial plastic surgeon Dr. Jonathan Grant, M.D., F.A.C.S., thought it would be a good idea to share the following sun care tips. Use broad spectrum sunscreen, which protects the sun from both UVA and UVB rays. UVA rays penetrate into the deep layers of the skin and are responsible for wrinkles, sun spots and other sun damage. UVB rays affect the superficial skin layers and are responsible for sunburns and increased risk of skin cancer. Choose sunscreen that offers a sun protection factor (SPF) of 30 or higher. 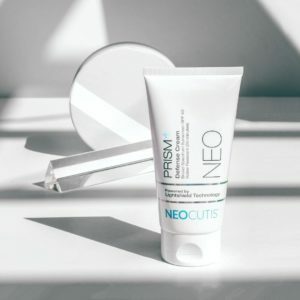 Zinc oxide and Titanium dioxide are the preferred sun screen active ingredients. Use enough sunscreen to coat all exposed skin. The AAD recommends you apply one ounce of sunscreen, which is approximately the size of a shot glass. Reapply sunscreen every two hours or as often as your sunscreen bottle directs. Don’t forget to protect your hands, ears, neck and other not-so-obvious body areas that might be exposed. For your lips, apply a lip balm with an SPF of 15. Having trouble choosing a sunscreen? 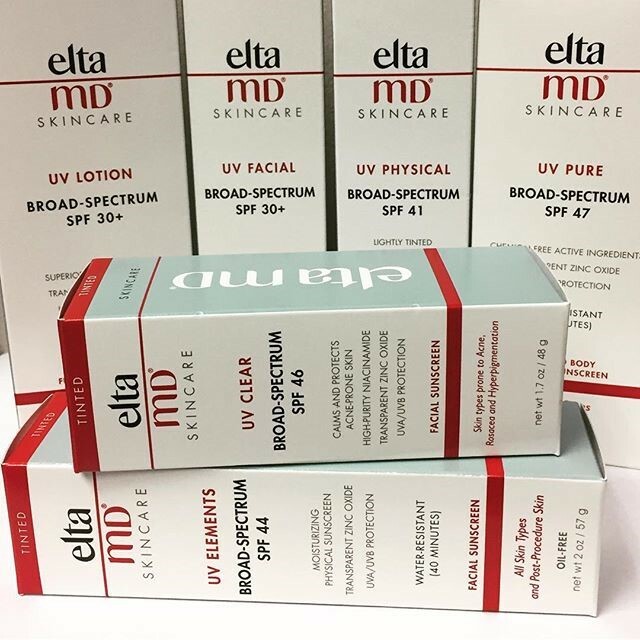 Dr. Grant’s office carries sunscreen from EltaMD and NeoCutis. A member of our team can help you select the best one for you based on your skin care needs. Seek shade, especially during the peak hours of 10 a.m. and 2 p.m.
Avoid tanning beds, which put you at risk of skin cancer and premature aging. Wear wraparound sunglasses that offer 100 percent UV protection. Wear protective clothing like a wide-brimmed hat and long-sleeved clothing. Exfoliate with a gentle scrub two to three times a week. Use quality skin products that use medical-grade ingredients. If years of sun damage have left your skin dull or damaged, Dr. Grant encourages you to consider a skin resurfacing treatment. The trusted facial plastic surgeon offers an array of minimally invasive cosmetic treatments designed to treat sun damage and rejuvenate the skin. 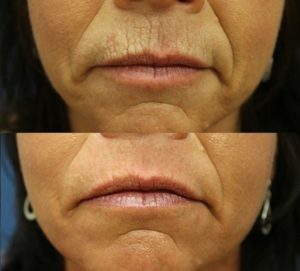 Some of his most popular sun damage treatments include fractional laser treatment, which delivers tiny pulses of light to the outer layers of skin, triggering the body’s collagen regeneration process for healthier and younger-looking skin. To learn more about the skin treatments Dr. Grant offers, schedule a personal consultation by contacting our Mt. Vernon office today.